DOUBLE the POINTS, DOUBLE the FUN! - All Chucked Up! You are Here >> Home >> Featured >> DOUBLE the POINTS, DOUBLE the FUN! Listen up… from November 29 (Today!) 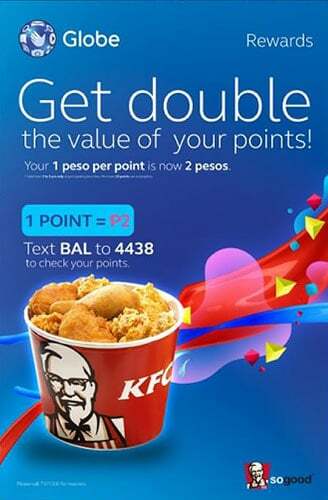 to December 2 (Monday), Globe will be having a “DOUBLE YOUR POINTS” promo! Holy frak! It’s true! Globe Rewards Points suddenly have double the value ONLY during this limited time. 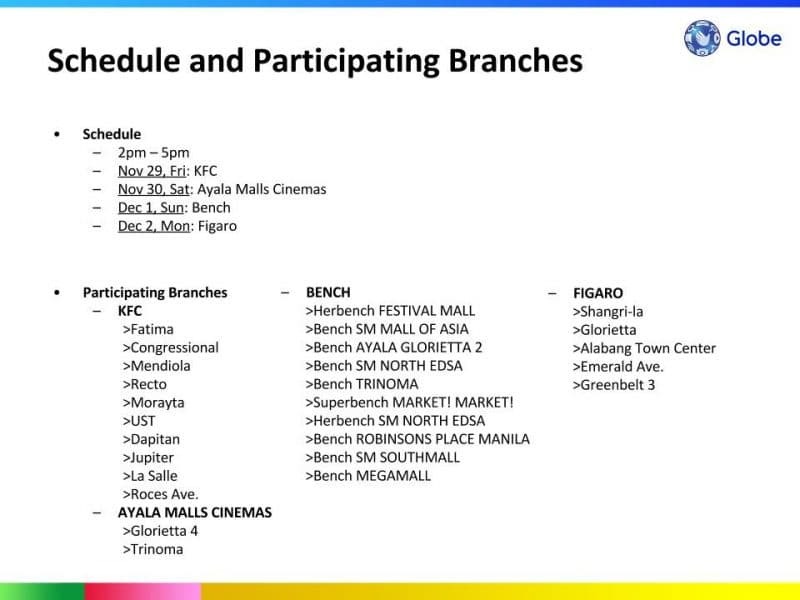 So, 1 Globe Rewards Point = Php 2.00! It’s practically like getting all kinds of stuff at a 50% OFF discount! On each particular day during the promo and ONLY from 2:00PM to 5:00PM, a participating partner store will be honoring your Globe Rewards Points at DOUBLE the value. After the transaction, customer has her photo taken with the photo opp board. Promo personnel takes a photo using Globe’s gadget and using the customer’s own gadget. Promo personnel encourages customer to post the photo on his own social media account by connecting to the Tattoo stick. I’m looking forward to getting a couple of awesome lookin’ clothes and movie tickets. What about you? If you don’t know how much Globe Rewards Points you have, you can easily find out this very minute by texting BAL to 4438. Remember… Globe’s “DOUBLE YOUR POINTS” promo only happens on November 29, November 30, December 1 & December 2 and only during the window of 2:00PM-5:00PM. So, don’t miss it. Coz I sure as hell won’t! Haha! ‹ Gain? Train! › An Awesome Secret Foodies Tour: The Tuscany Food Tour is One Helluva Food Trip!